Forget about printing in 3D; it turns out that scientists are looking forward to printing in 4D. 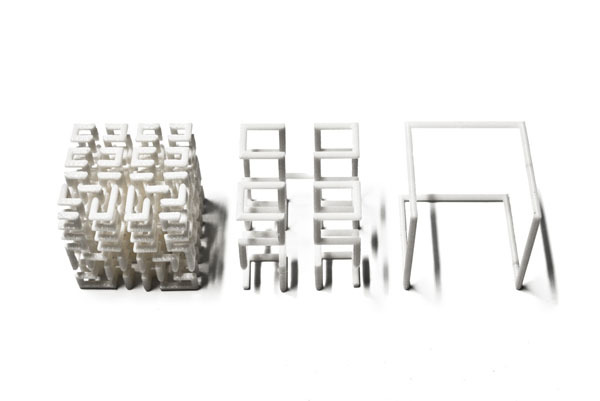 They’ve successfully added a fourth dimension to their printing technology, opening up exciting possibilities for the creation and use of adaptive, composite materials in manufacturing, packing and biomedical applications. In order to actually accomplish this feat, the researchers incorporated “shape memory” polymer fibers into the composite materials used in traditional 3D printed. These fibers result in the production of an object fixed in one shape that can later be changed to take on a new shape. At first, the scientists combined a strand of plastic with a layer made out of “smart” material that could self-assemble in water. So why call it 4D? The scientists decided on calling it 4D printing technology since it can change over time, which is known as the fourth dimension in Einstein’s spacetime. The shapes themselves are actually defined during the design stage. This in particular was not achievable a few years ago. During the course of their demonstration, the researchers showed that the orientation and location of the fibers within the composite determines the degree of shape memory effects like folding, curling, stretching or twisting. The scientists also showed the ability to control these effects by heating or cooling the composite material. So what could this technology be used for? There are a variety of applications. A solar panel or similar product could be produced in a flat configuration onto which functional devices can be easily installed. It could then be changed to a compact shape for packing and shipping. After arriving at its destination, the product could be activated to form a different shape that optimizes function. That said, it will be quite some time before these applications are put into practice. However, this new research does show the potential for this new printing technology–the next step after 3D printing technology matures.